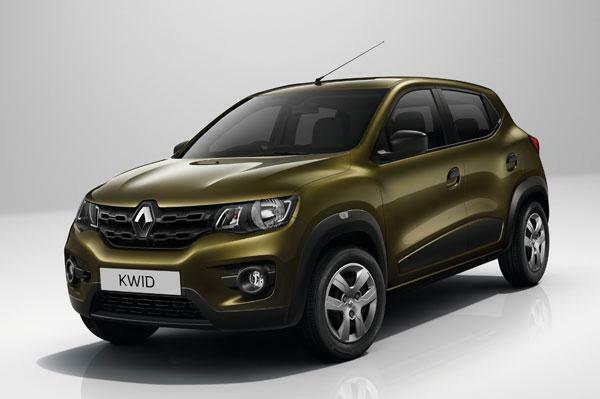 Popular French automaker Renault is all set to showcase the Automatic version of yet-to-be-launched Renault Kwid. The company will be showcasing its AMT (Automated Manual Transmission) technology at the coming Frankfurt Motor Show in September. It is reported that the AMT range of cars which is set to be showcased would be of the Dacia brand. There are reports and rumours that the AMT technology from Renault would be likely be called as “Easy-R”. The Dacia cars like new Logan, Logan MCV, the Dacia Sandero and the Sandero Stepway are some of their early models that comes with Easy-R gearbox for European market. While Renault brand of cars would be officially offered an AMT at a later stage, Renault is also working towards fitting this gearbox in its soon to be launched Renault Kwid. Initially, Renault Kwid would be launched with a 5-speed manual transmission and the AMT version of the car would be launched after some time, once the company has completed the internal tests on the car. The AMT gearboxes in the car have recently become popular after the launch of Maruti Alto K10 AMT and Tata nano AMT. In fact, the cars like Maruti Celerio and Tata Zest have have also been offered in AMT version. While the cars from Maruti and Tata have sourced their gearbox from Magnetti Marelli which is a Fiat group company, Renault is coming with the own version of the AMT. Renault Kwid is going to be powered by a 3-cylinder 800cc petrol engine and would get features such as 4-power windows, Airbags, ABS ( Anti-lock Braking System), Infotainment system with Navigation plus Bluetooth connectivity.